Desert Environments was founded by Mike Kiesler. He has spent over 25 years in every aspect of this industry and has been an accomplished Landscape Architect for over 12 years. His custom landscapes are known for their ability to be appropriate for desert environments as well as blending with the local environment and neighborhood. The secret to the success of Desert Environments is Mike's commitment to customer care and quality. 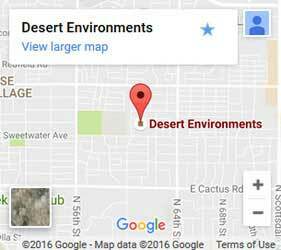 Desert Environments guarantees customer satisfaction and offers one of the best warranties in the business. The creation of your desert environment is in good hands. 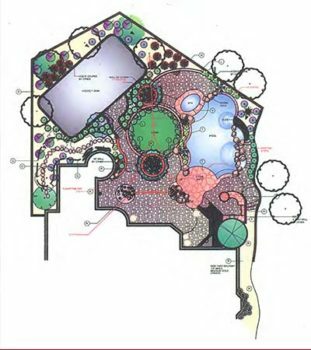 Your landscape design will be carefully implemented and presented for your approval. During the construction process, Mike prides himself on overseeing every job to assure that the plans follow the design correctly. Contact us and let us create your ideal desert environment. At Desert Environments, we are proud of our track record with customer satisfaction. We adhere to a rigid quality control mandate on every job we perform. Our dedication to care and commitment is unsurpassed in the business. Site checks and overseeing to ensure proper growth and functioning systems. Plants including trees, shrubs, cactus, and turf from the date your project is completed. Irrigation systems including valves, main line, emitters, and time clock from the date your project is completed. Lighting and workmanship also included. "Amazing Work! Another great job done by Desert Environments. Thanks guys so much for the incredible work. Amazed at the detail. Looks absolutely perfect!" "The new lawn looks great. I have gotten a ton of compliments." "Thanks for all your hard work. We will look for you in the spring. Get some rest over the winter!" Ready to Build Your Landscaping Dream? If you are ready to get started or simply have a few questions, simply give us a call at (602) 679-8733 or click below.